I have the good fortune of having many friends that like to cook and are fairly creative. Practicing Bikram so regularly makes the food I eat that much more important – it needs to be nourishing and substantial yet not incredibly heavy. 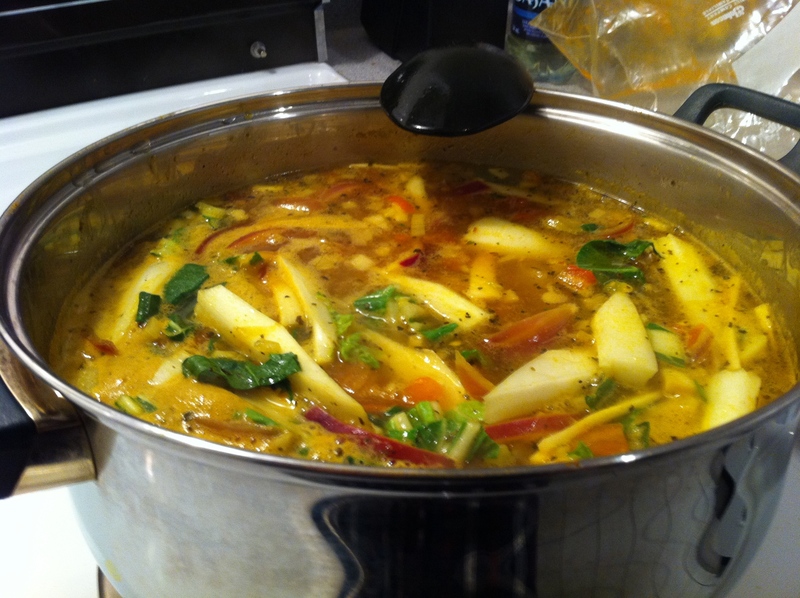 This soup was made up on the spot but turned out to be quite satisfying as a winter evening meal. 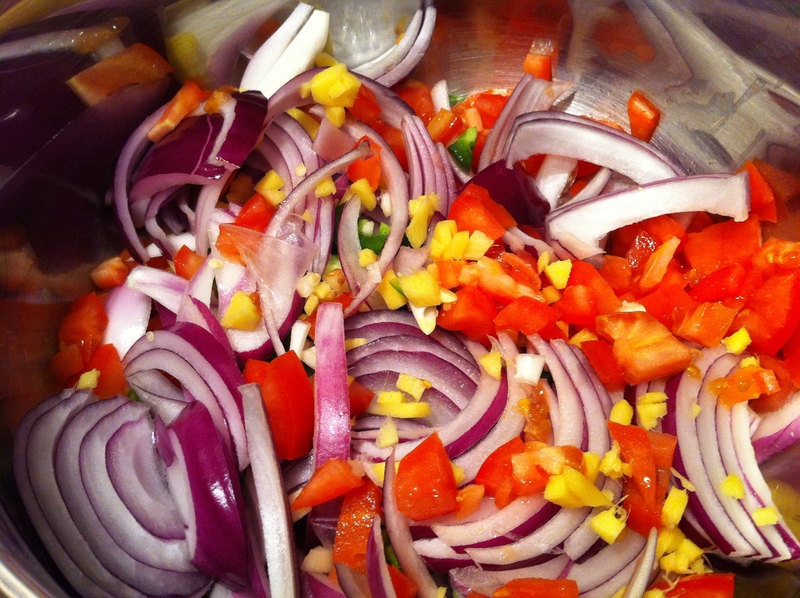 For some reason colourful mixes of vegetables give me a great deal of happiness – we used sliced onions, diced tomatoes, garlic, a jalapeno pepper and ginger. 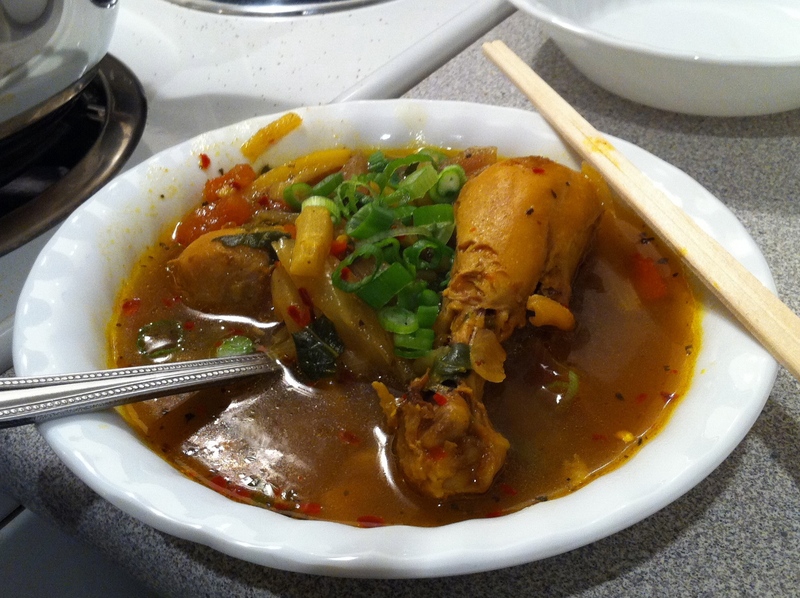 After we added some chicken drumsticks, we added garam masala, turmeric, and crushed red peppers. 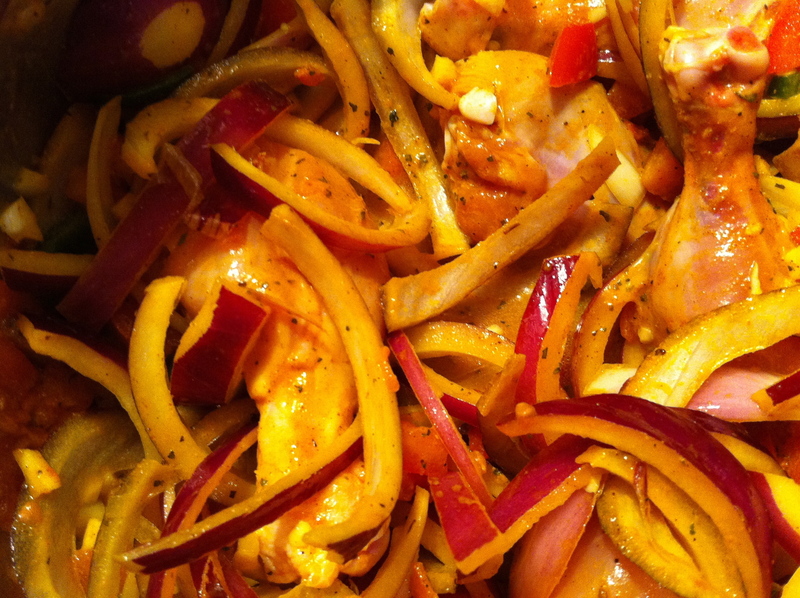 The turmeric gives it a beautiful yellow-ish tinge. The bok choy and cilantro came after we had added water before we brought to a boil. I’ve never really cooked with bok choy in the past, but I have to say it’s growing on me. 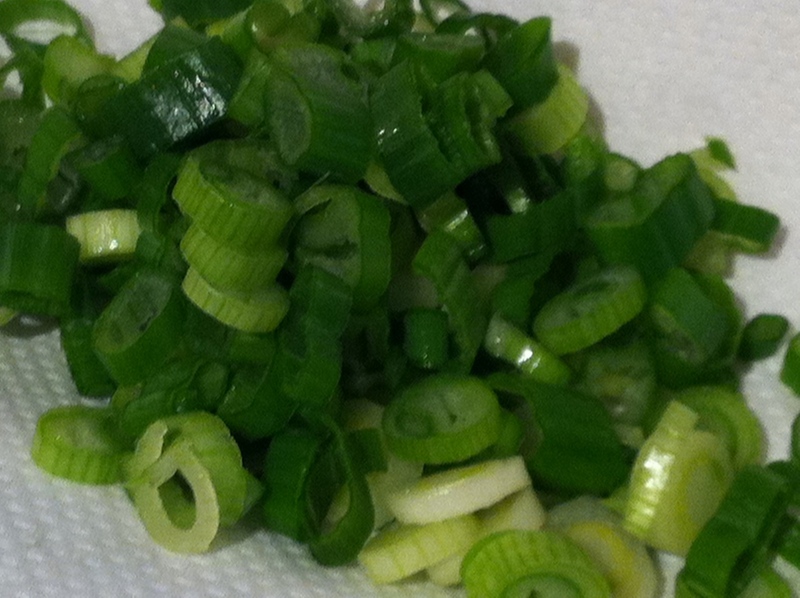 The final touch were the green onions which we sprinkled on top after pouring generous portions into our bowls.